Having backup keys on hand can save you a lot of frustration and hassle later on. 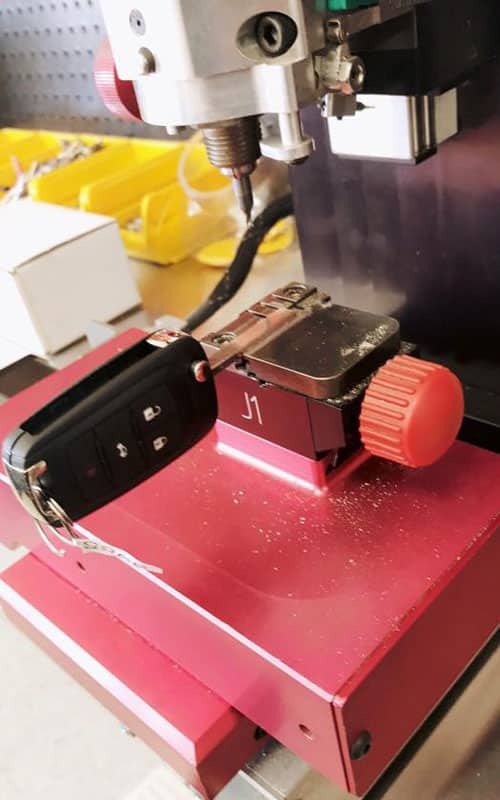 At Key Shoppe, we are a full service locksmith that provides key duplication services for automotive customers, residential customers, and businesses alike. Whether you want a couple extra keys to your home or you need a specialized key made, we have the expertise and equipment necessary to get the job done. Stop by one of our two locations in Slidell, Louisiana today to see our vast wall of keys and learn more about our key duplication services. We have over 1800 different keys in stock! Can My Key Be Duplicated? If you have a key that says “Do Not Duplicate,” then you may be wondering if it’s possible to have that key duplicated. There are two types of DND keys: unrestricted keys and restricted keys. The manufacturer of an unrestricted key has no control over whether the key is duplicated. Some hardware shops will duplicate them with no questions asked, while others will not duplicate them under any circumstances. Unrestricted keys are not protected by patent laws, meaning that there is no penalty for duplicating them. Restricted keys, on the other hand, cannot be duplicated. These keys usually look different than typical keys, having two rows of cuts or dimples cut into the sides. Unlike unrestricted keys, restricted keys are protected by patent laws, and duplicating them carries a $10,000 penalty. Do you need to have a DND key duplicated? Visit one of our two locations and we’ll let you know what your options are. Restricted keys are great because additional copies can only be done by going back to the locksmith that made the original key. 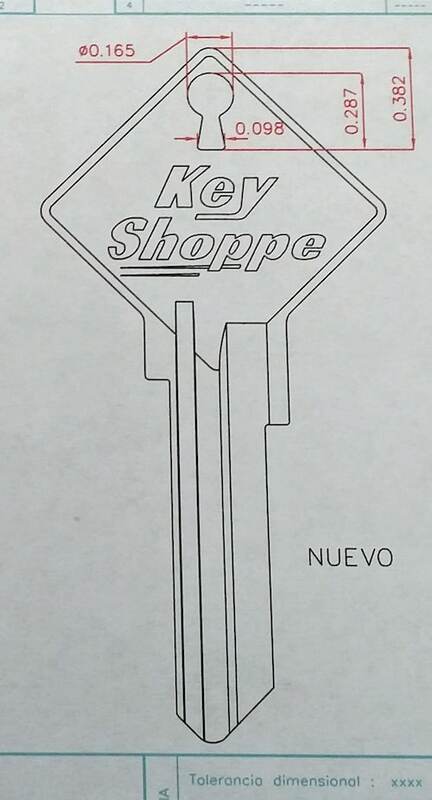 For example, Key Shoppe offers many high security keyways such as Medeco, KeyMark, KeyMark X4, and our own restricted keyway known as ‘Key Shoppe Key’. We will not allow keys to be made unless authorized by the original buyer. These systems are great for home owners, apartment complexes, businesses, schools, and hospitals. Is Common A Good Thing? Kwikset started in 1946. There are limited key combinations. Extremely common on houses. The hardware is easily defeated by bumping and manipulation. So lets do the math! Brands like Defiant, Kwikset, BHP, Brinks, Gate House and more use the common Kwikset keyway. The manufactures claim there are at least 7000 different key combination options for a lock. When in fact that number should be closer to 6300 and just over 3000 if the lock is master keyed. In many cases that number is around 40 when master keyed. Census.gov estimated that as of January 2015 that were 100,061 housing units in St. Tammany Parish. Lets assume that half of the houses have a Kwikset style keyway. Approximately 50,000 houses. This means that at least 8 houses in St. Tammany Parish is keyed to your house key. But wait that number actually is higher! Yes I said higher! Most box stores purchase only a few different keyed alike numbers. And they purchase the locks in Pallets. So the same set of locks you just picked up keyed alike is also the same set of locks the guy after you picked up for his house. Its estimated that 1 in 50 houses in an area will have house key that will unlock yours! A restricted keyway is a key that is only available through a certain supplier, this improves key control. A Key Shoppe brand lock cylinder will not accept a common key such a Kwikset or Schlage. The benefits of our keys are clear. At Key Shoppe, our certified locksmiths are experienced in providing a wide array of key duplication services. We are ALOA locksmiths, meaning that our technicians have undergone extensive and ongoing training in numerous aspects of the trade. We are also members of the Louisiana Mississippi Locksmith Association (LouMiss), Key Pro, 1-800-Unlocks and the Fair Trade Locksmith Directory. We are insured, so you can trust that when you work with us, you and your locks are in good hands. 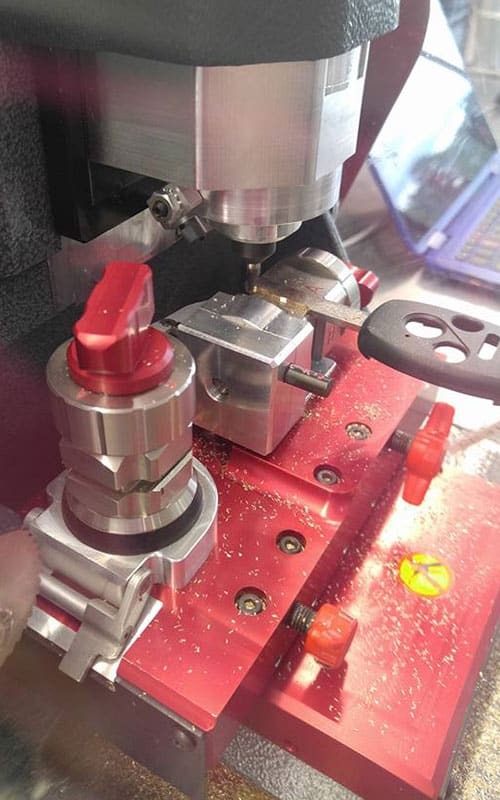 If you want to learn more about our key duplication service or if you’d like to discuss the other security solutions that we offer, give us a call or stop by one of our two locations. We carry a full stock of locks, safes, and keys, and our experienced locksmiths can guide you in choosing the security solution that is best for you and your lifestyle.